Use the “Fray Effect” to your advantage to create that Shabby Chic look that is currently the height of fashion. When cloth or fabric is made, threads called warp threads, run the length of the cloth to be. A weft thread is then woven over and under one or several warp threads. 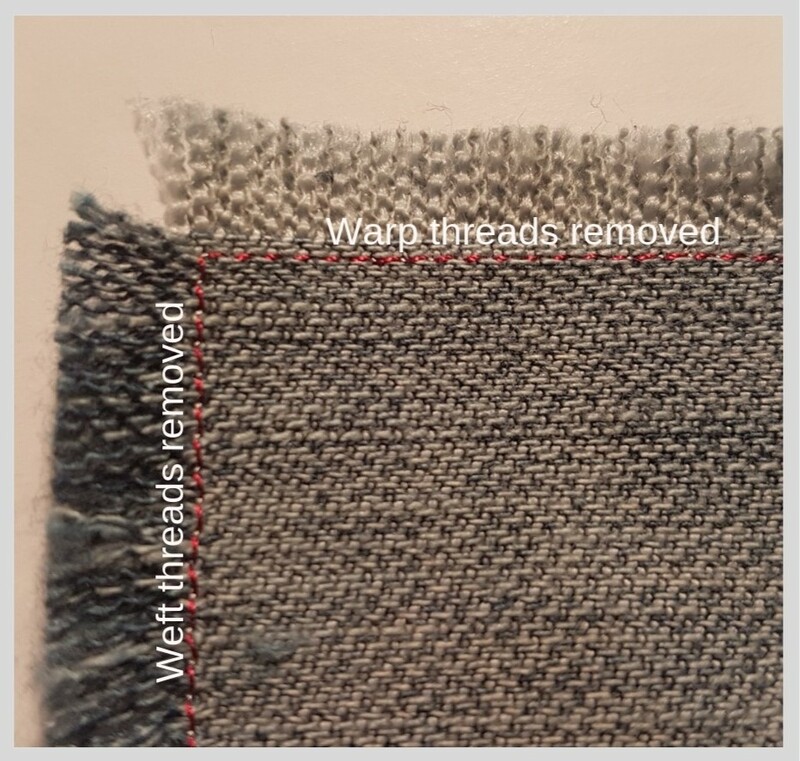 These weft threads interacting over and under each other, create the structure of the cloth when they are packed tightly against each other. With denim, the threads are woven over two warp threads and under one. This is called a twill weave and gives denim that diagonal look. 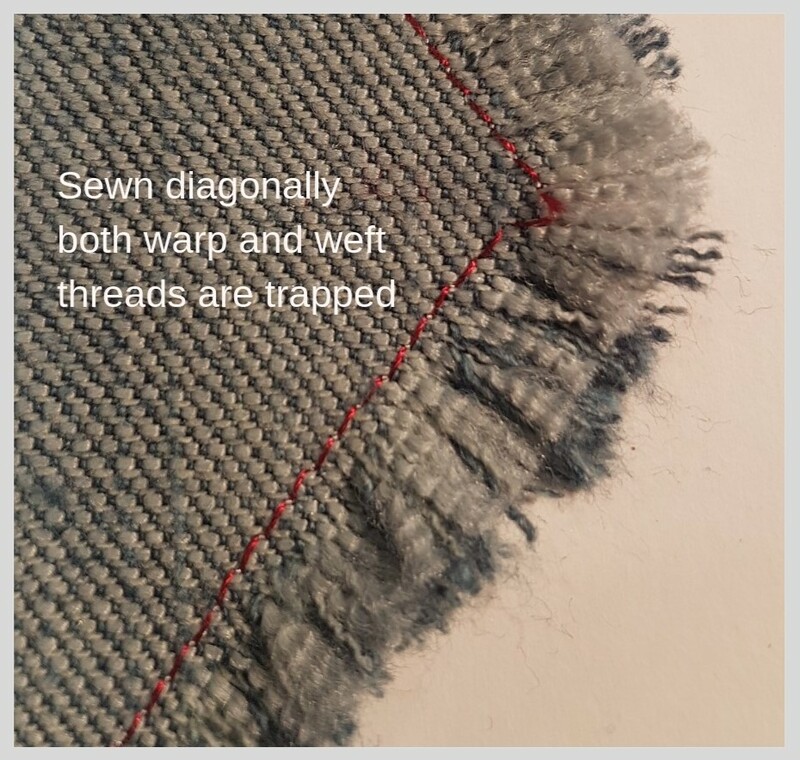 If you look closely at denim you will notice that the warp threads are dyed with an indigo blue dye (originally plant based) and the weft threads are left white. If I cut through this denim cloth, it would begin to fray (or come undone). By sewing across the warp and weft, I trap the fibers to prevent fraying. However, if I cut close to my sewing line, the warp and weft threads are still able to come undone. To prevent this, I cut approx 1/4 inch away from the sewn line. This 1/4 inch helps to stop the fraying process past the sewn line. Use a quick unpick to help remove the threads. 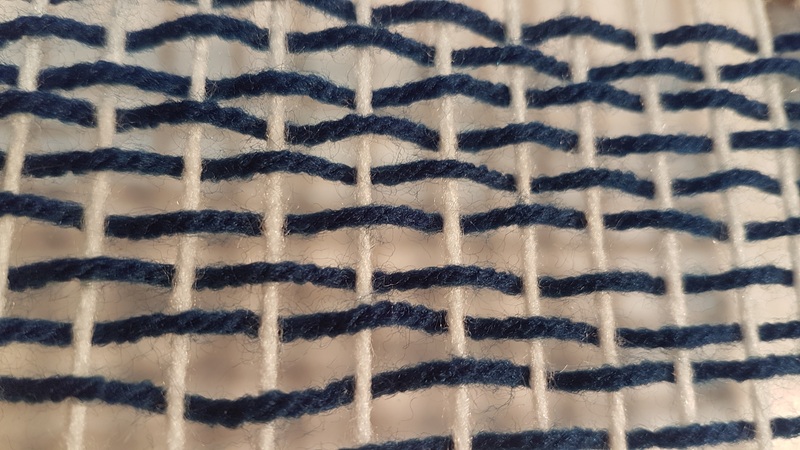 If I remove the indigo dyed warp threads, I am left with the white frayed weft threads. If I remove the white weft threads, I am left with the indigo dyed warp threads. Sewing diagonally over the warp and weft threads (bias) and then fraying produces a combination of both colours. The frayed edge is thicker due to both thread ends being trapped by the sewn stitches and if I rub these loose threads – the colours combine. To use this first technique on The What Knots bag – make a sample – or several. Sew these shapes with a 1/4 inch seam and fray. 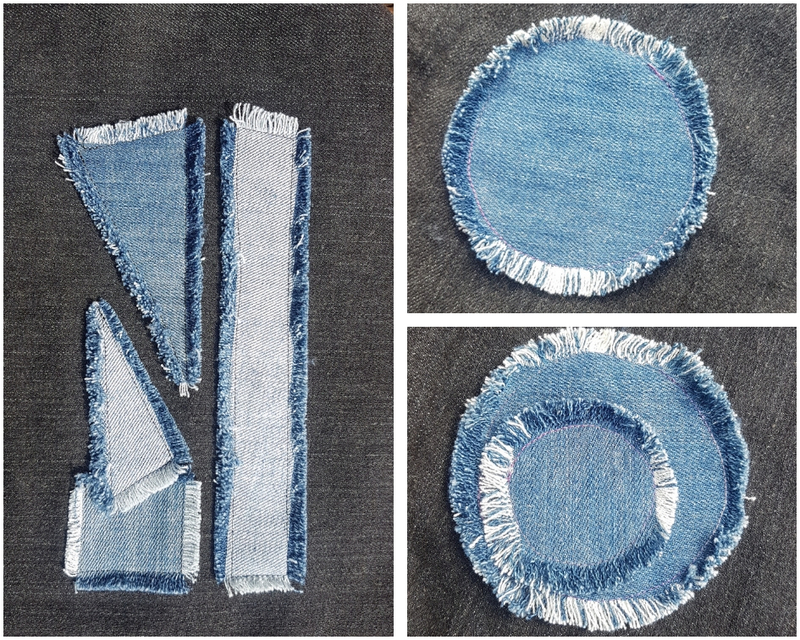 or alternatively sew shapes onto either some background denim or a lightweight non stretch fabric and then fray. Play with the fray effect. Overlap shapes. The thing is to experiment. I have included some examples below to give you the idea. I hope you have enjoyed this tutorial. More tutorials are coming, but in the mean time, please feel free to leave a comment or ask a question. I will get back with you. Thank you.